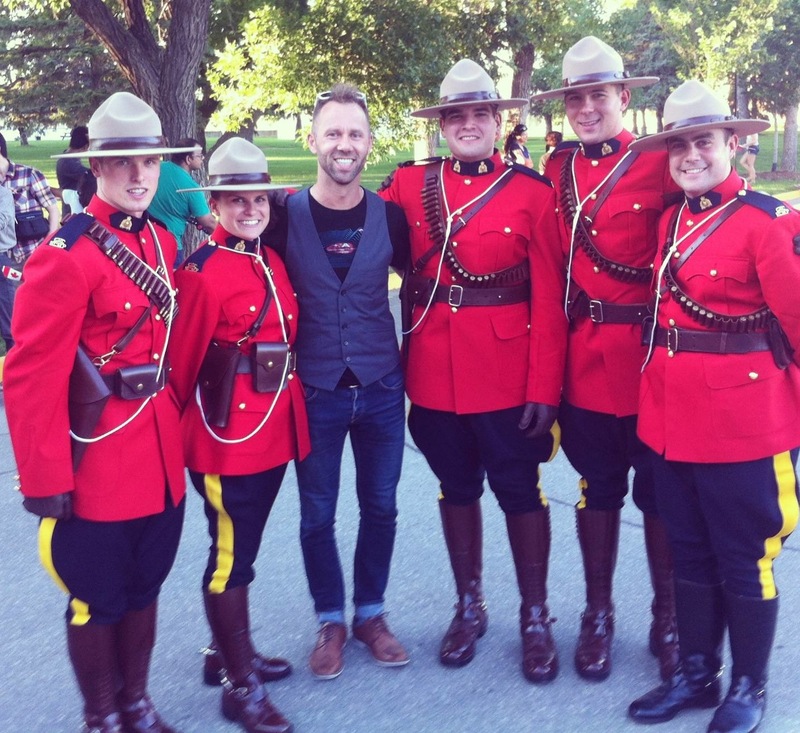 I had the honour of being asked to perform for the Lieutenant Governor on Canada Day in Regina SK. What a treat! That evening I checked out the RCMP Sunset Ceremony at their training headquarters also in Regina. Amazing parade and tradition – and got the tourist photo with some of the cadets.